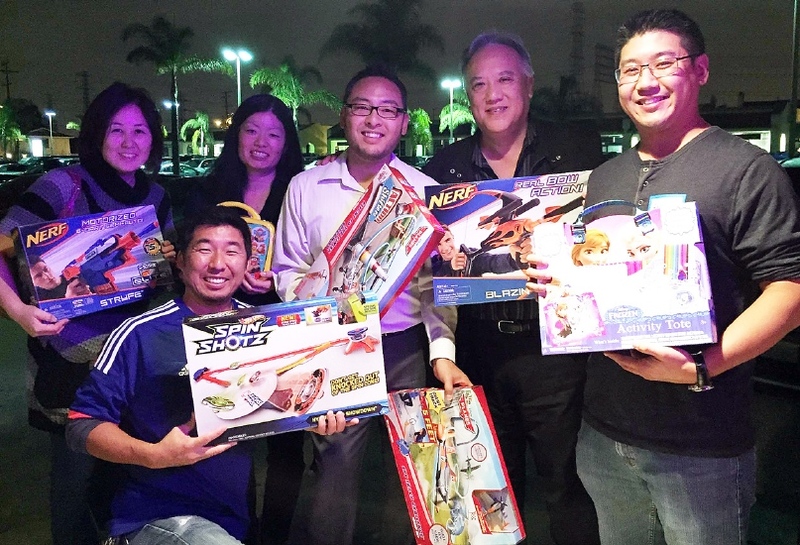 Attendees at the monthly J-Link Mixer started the holiday giving early by participating in a gift drive hosted by Changing the Community and Sansei Legacy. J-Link is a networking event sponsored by Japan Alliance in support of the Japanese and Nikkei communities promoting social interaction and information exchange. Pictured from left: (top row) Christine Tokunaga, Joyce Nakashima, Bryan Shigekuni, Gene Kanamori, Ryan Yamamoto; (bottom row) Jesse Hiraki.